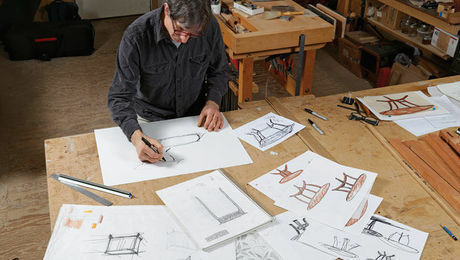 The Carlo Chair, by James Breaux of San Antonio, took home a Judge's Special Award. 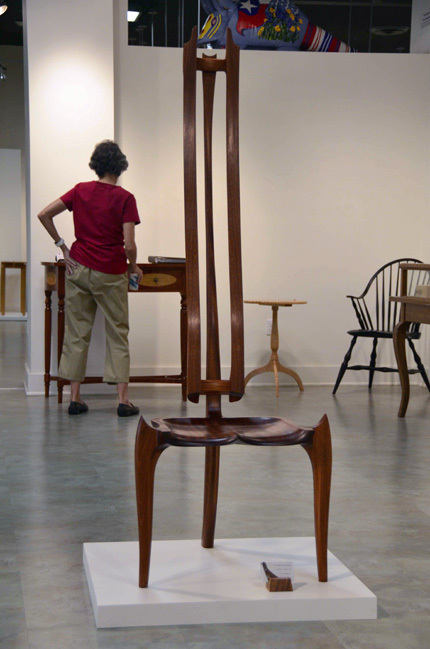 The Texas Furniture Makers Show is on view right now in Kerrville, TX a little west of San Antonio on I-10. Judging and awards were November 19, 2011 and I know that it gets said every year, but it’s true every year: the quality of the furniture is better than last year. The real story was the number of newcomers and first time winners this year. Best of Show and second place both went to first time entrants of the show. Third place went to Mark Seay, a three-time entrant who took home his first ribbon. 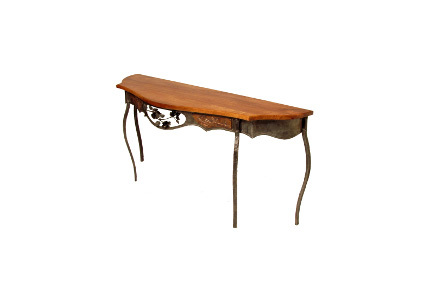 His Occasional Table was a delicate composition of maple and paduk: a mix of solid wood legs and stretchers and a finely veneered top. He got in the money again when his piece was the first to sell at the show. Robert Galusha, a longtime maker but first time entrant to the show, entered his Mobius Rocker. It is built with a variation of the bent laminating process that he created to allow the strips to diverge and converge, twist and turn, and come back to meet upon themselves. It’s a fascinating piece of technical wizardry and equally beautiful and elegant. That said, this piece only came in second place. First place went to another rookie. Caleb Nolen took Best of Show with his Entry/Sofa Table. 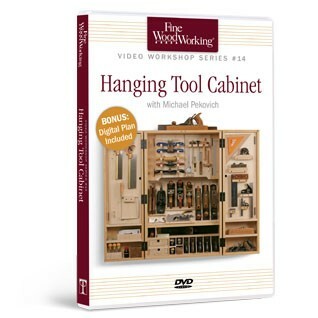 Sometimes the Texas Furniture Makers Show gets mistaken for a woodowrking show, wood being the predominant medium. But make no mistake; a metal worker can win it all. 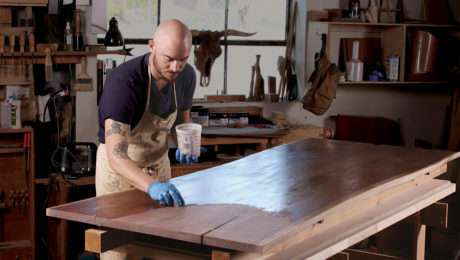 Caleb paired a perfectly finished mesquite top with an amazing hand forged metal apron and legs with a classic french flair and a rose motif. The roses were hand forged from a single piece of steel wrapped upon itself very finely. The legs and structure underneath are joined (not welded) together. The curves were perfect. The joints were perfect. The finish was perfect. The judges gushed about it and couldn’t find any flaws. The old guard was still represented well in the money with Danny Kamarath, Rex White, and Jim Wallace each earning a pair of ribbons as usual. However, the new guard has arrived. 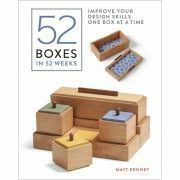 James Breaux is an architect, designer, and furniture maker out of San Antonio with ribbons on both pieces he entered this year and this author won Best Contemporary. But, be on the lookout for Jeremy Grubb. You’ll be seeing a lot of him in the future. He’s out of Houston living the dream and hustling his tail off to make it while producing top notch work. 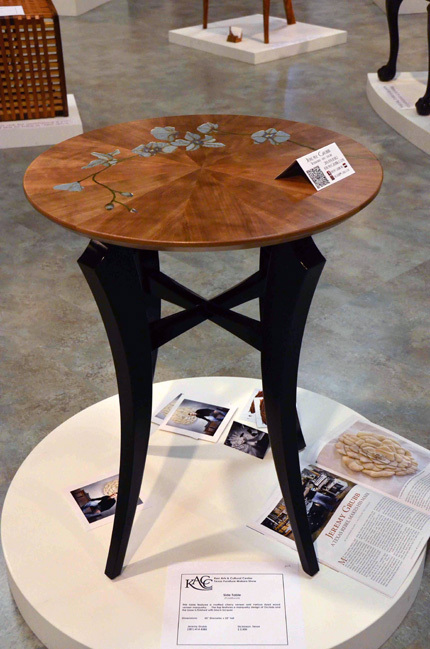 His Side Table with marquetry won the Fine Woodworking Judges Special Award. Thanks to the Furniture Committee in Kerrville and judges Thea Marx, Peter Kennedy, and Frank Strazza for all of the hard work. It’s a great show in a great space and a great forum for the talent here in Texas. 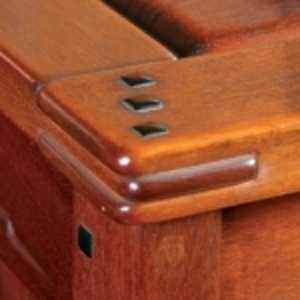 For more information on Texas furniture in general, be sure to check out my friends at Mesquite Musings. 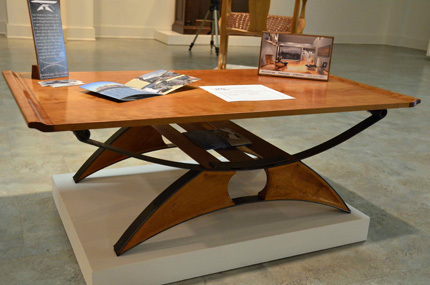 This contemporary piece dubbed Suspension Table, also by Breaux, took home an Honorable Mention. Caleb Nolen took Best of Show with his Entry/Sofa Table. 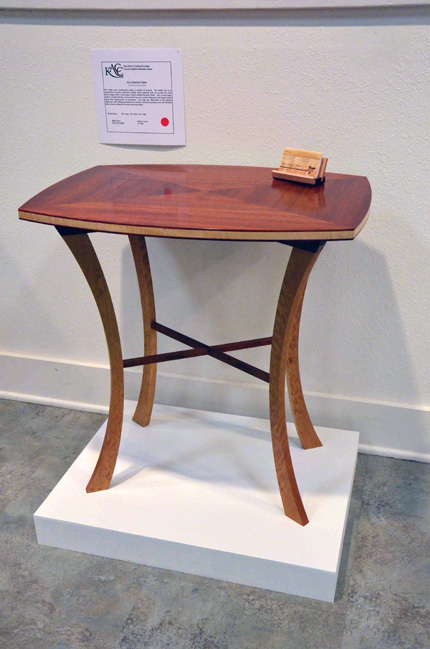 Jeremy Grubb's Side Table with Marquetry won the Fine Woodworking Judges Special Award. 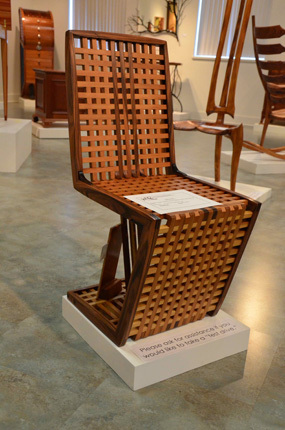 Chris Kemler, the author of this post, took home the award for Best Contemporary Piece for this chair. 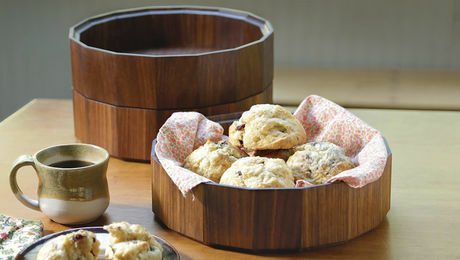 Three-time entrant Mark Seay took home his first ribbon for this Occasional Table. Thanks for getting the rest of the pics posted! Great review Chris. This years show was a great experience and I look forward to next year. 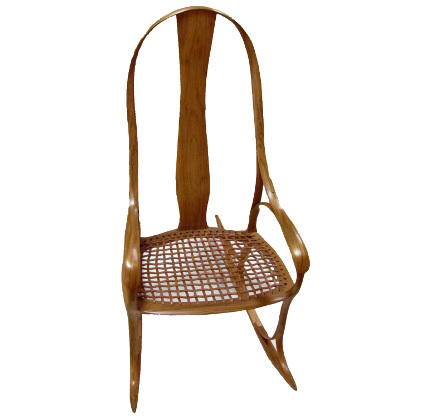 Great job on the uniquely artistic and beautifully graceful chairs you crafted this year. They are truly works of art as is the case with all the entrants this year and every year. 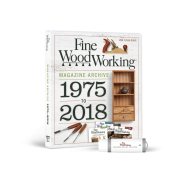 Thank you for a great review, and for a great job of promoting an important furniture show, Chris. As expected, it was written with the modesty I see evident in your character, but not your work. The author tried to slip it by us with a half-sentence reference, but I want to reiterate the his sculptural, sinuous and exquisitely crafted pair of entry chairs took the BEST CONTEMPORARY FUNITURE award at this year's show. Awesome work. That is a fine review, Chris, and thank you for doing a great job of promoting an important show. As expected, it was written with the modesty I see in your character, but not in your work. You tried to slip it by us, but let me reiterate that Chris' sculptural, sinuous and exquisitely crafted pair of entry chairs won BEST CONTEMPORARY FURNITURE at this year's show. Awesome work.